Westminster Presbyterian Church is a prominent institution in downtown Minneapolis with far-reaching community service and social justice programs. 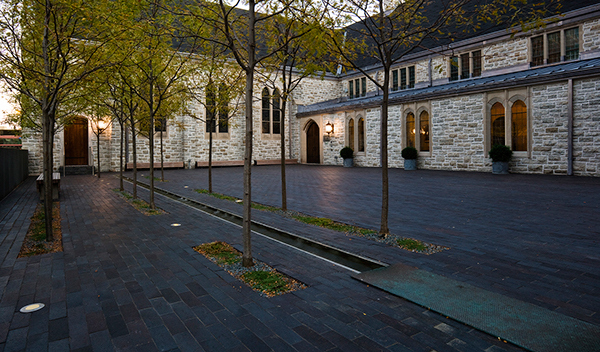 The Church retained Coen + Partners to complete a new design for the landscape surrounding the 110-year-old building; the firm was challenged to create a modern presence for Westminster along adjacent streets, a meaningful courtyard for receptions and ceremonies, and a new memorial columbarium for ash internment. 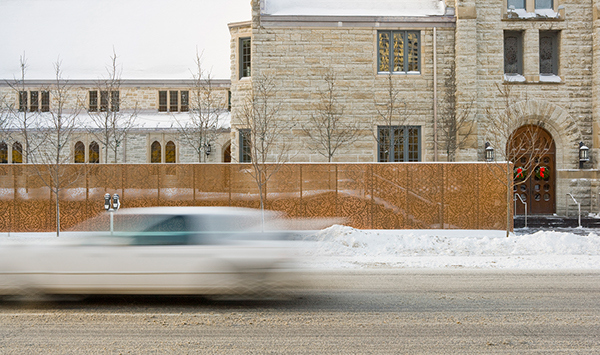 Views of the reception and columbarium spaces are obscured from the street by a patinaed copper screen, fretted with patterns abstracted from those in Westminster’s original stained glass windows. 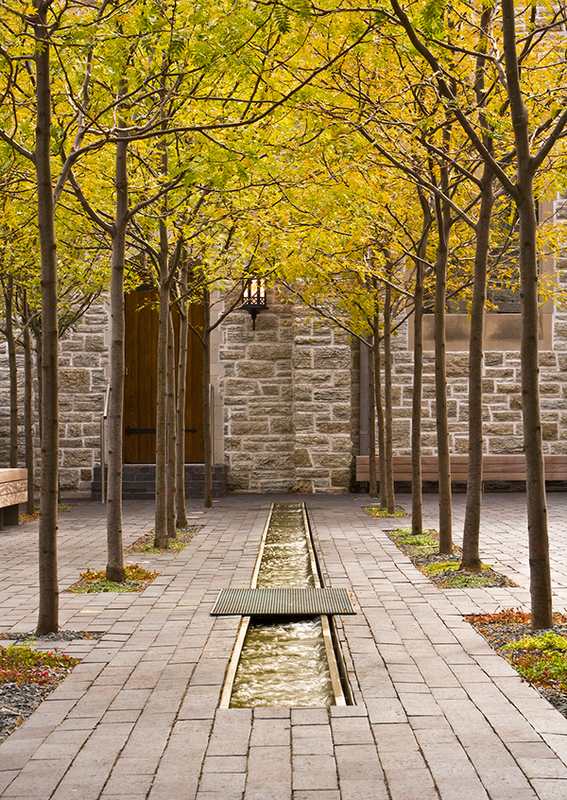 A long stone columbarium contrasts and complements the materiality of the church itself, while groundcover gardens are interspersed throughout the landscape spaces, providing seasonal color and texture. 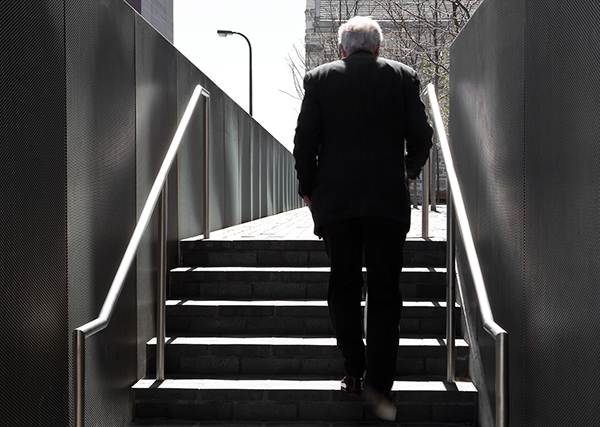 The columbarium is accessed by sloping procession from the street level. A narrow water rill parallels the street, extending the linear form of the columbarium wall into the adjacent space. Westminster Presbyterian Church is a prominent institution in downtown Minneapolis with far-reaching community service and social justice programs. 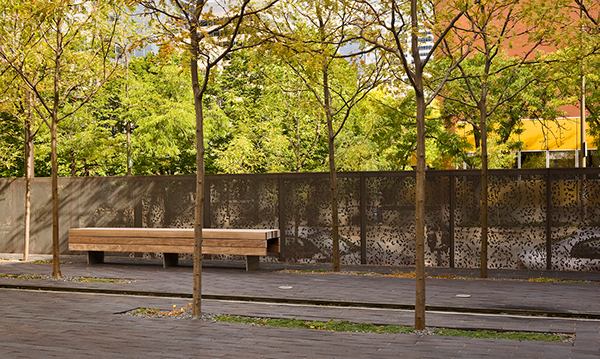 The Church retained Coen + Partners to complete a new design for the landscape surrounding the 110-year-old building; the firm was challenged to create a modern presence for Westminster along adjacent streets, a meaningful courtyard for receptions and ceremonies, and a new memorial columbarium for ash internment. 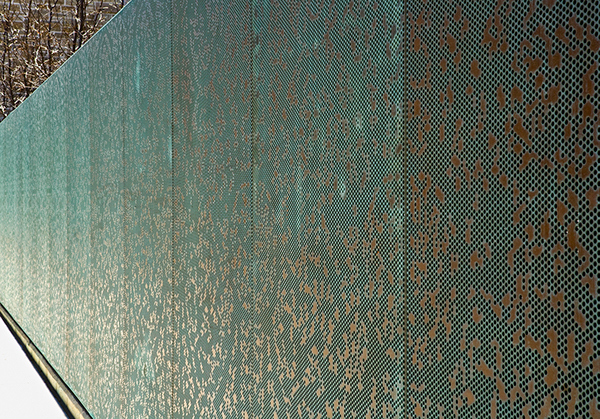 Views of the reception and columbarium spaces are obscured from the street by a patinaed copper screen, fretted with patterns abstracted from those in Westminster’s original stained glass windows. A long stone columbarium contrasts and complements the materiality of the church itself, while groundcover gardens are interspersed throughout the landscape spaces, providing seasonal color and texture. The columbarium is accessed by sloping procession from the street level. 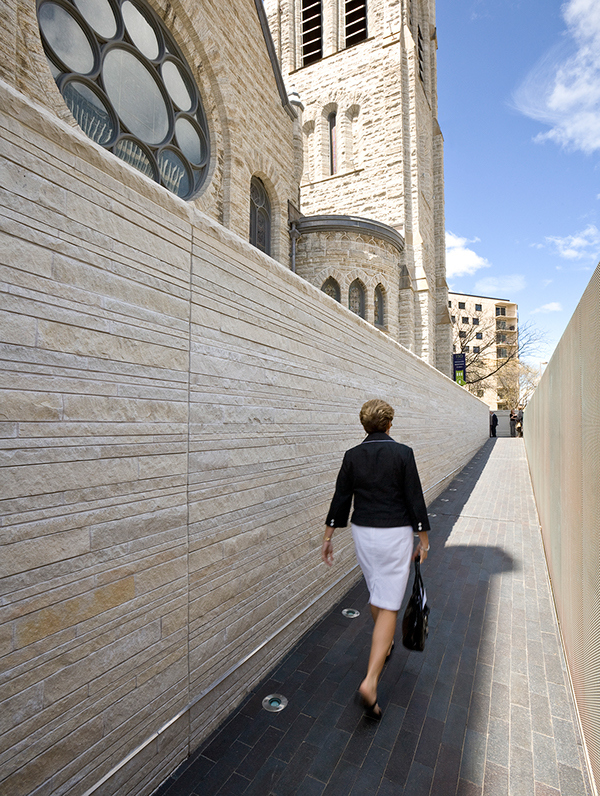 A narrow water rill parallels the street, extending the linear form of the columbarium wall into the adjacent space.